Do you know what it feels like to not know where your next meal is coming from? The problem of food insecurity is bigger than you might think. In fact, lack of food or access to food exists in every country in the U.S. In recent years, it’s estimated that 17.9 households worried about their next meal. 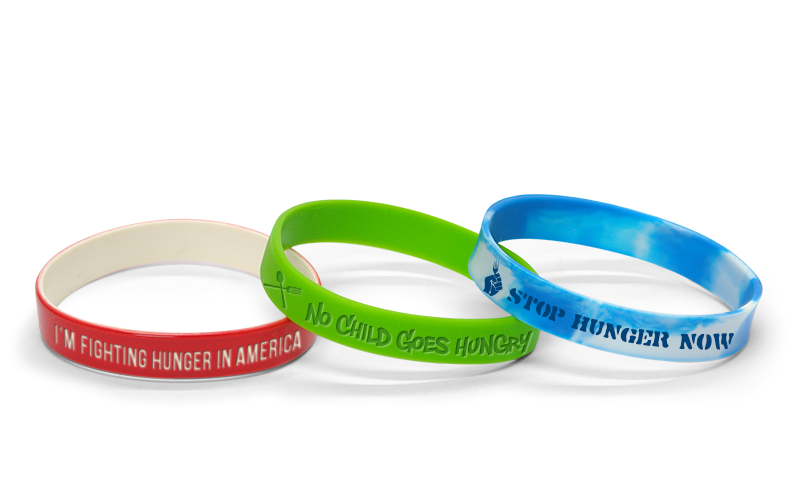 Custom Fight Hunger wristbands can help raise awareness and keep the conversation going. September is Hunger Action Month, and communities across the country focus on providing food to hungry families and putting together programs to help people continue to have access to the food they need. 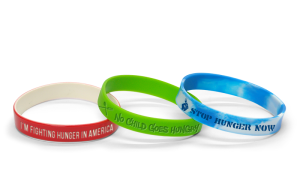 The color orange is often used as a symbol for campaigns against hunger.